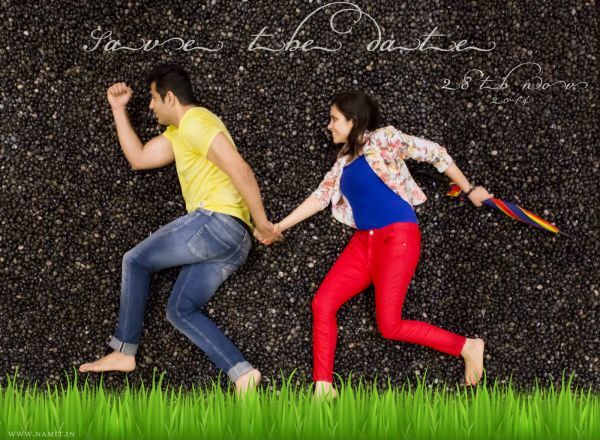 7 'Save The Date' Ideas That'll Make You The *Coolest* Couple On The Block! If you’re engaged and you’re happy, clap your hands! And we’re sure that you can’t wait to share the amazing news with your friends and family. We know that Facebook, WhatsApp or just a call can do the job, but come on! You’re getting married and that deserves more than just a status update. 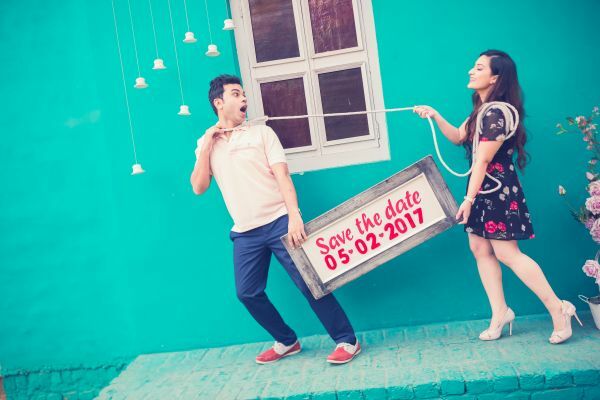 So here are 7 real couples who picked some cool ‘Save The Date’ ideas to announce their wedding date. Here is all the inspiration you need - get inspired and get to work guys! Everybody loves colourful balloons… They bring back such amazing memories of a cherished childhood. They also signify new beginnings, hopes and happiness. So when they mean all things merry, why not use them to announce the happiest news of your life just like this couple did?! It’s easy to execute and looks really pretty in pictures. How cool is that! A form of trick photography, it requires you to lie down and pose while the photographer takes a top shot. You can experiment with props, colours, backgrounds to suit your personality as a couple. Not just you, but everybody who sees the picture will love the unique concept. 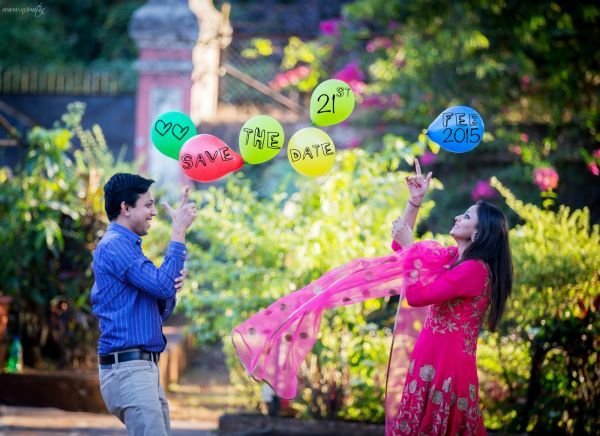 What we love most about the picture is the colourful umbrella in the bride-to-be’s hand. If you love it too, then get it on Amazon for Rs 229. It’s not such a secret that a marriage is bond of a lifetime. And what better way to show the world that you’re going to enter that bond by depicting it in a funny way. Shaadi kar ke phas gaya yaar much? Don’t worry, people will get the humour. Want a floral printed dress for your upcoming dates? 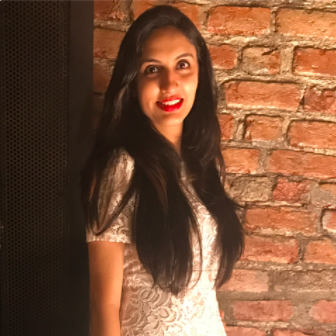 Buy this beautiful one we spotted on Jabong for Rs 1,899. You will totes love it! We are absolutely in love with this idea. Writing down your wedding date on a slate and clicking pictures with it is so 2016. Try the throw-and-click format and the results will actually be totally cute and candid! 5. Love is in the air...literally! Confetti in itself says celebrations and happiness. 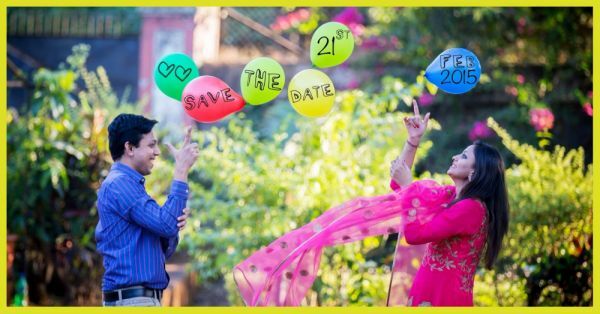 So, what better way to make a happy announcement with those colourful itsy bitsies all around you and your wedding date suspended in the air. Ever heard of the phase larger than life? Yellow is one colour which can instantly make you look all chic and fun. This gorgeous yellow dress we found on Jabong for Rs 1,440 is something you must have in your wardrobe. Marriage is a journey of a lifetime, full of love and many cherished moments. Tell the world that you’re embarking on that journey by legitly showing it in a picture. 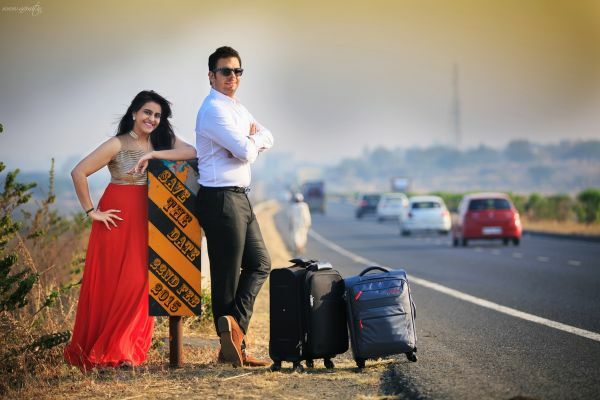 Get your wedding date printed on a board and use it like a milestone on the road. We love this concept, what about you?! For the couple who doesn’t want to do a grand announcement and just wants it to be sweet and mushy, this is the best option. Just pick a great picture of you and your partner, and get your wedding date printed on it. It’s sweet, it’s simple and it sure is timeless.